Politically, Hong Kong is technically part of China, but don’t let any Hong Kong native hear you say that! The people of Hong Kong have long regarded themselves as completely different from China, whether it’s on their way of life, their culture or even their language – although most areas in China use Mandarin, Hong Kong has jealously guarded its position as the undisputed centre of Cantonese-speaking people. Today, Hong Kong is still regarded as a Special Administrative Region within China and has been allowed its own local government and representatives. But Hong Kong is not only politically and culturally distinct, for it is also an economic giant in its own right. The spirit of capitalism and free enterprise runs deep in Hong Kong. This same spirit has helped Hong Kong to become one of the Asian economic ‘tigers’. If you’re looking to send a package or document to Hong Kong, you want a reliable service to get it there as quickly as possible. By sending it with Peleka, we offer a selection of services to get your consignment to Hong Kong. If you need to get it there quickly, consider our express delivery services that will get your parcel to Hong Kong within 2-3 working days. 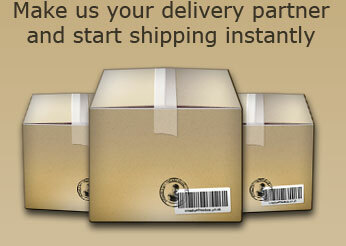 We also offer a number of low cost options that will give you the best value package delivery to anywhere in Hong Kong. Whatever your budget and whatever your timeframe, you will find the right delivery option with us to get your package to Hong Kong. For more information about Hong Kong, click here.